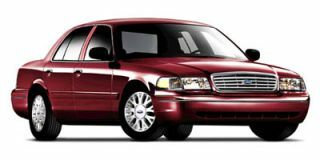 Back in 1998, when DaimlerChrysler came into being, the notion of a Chrysler-badged vehicle using much Mercedes content seemed about as likely as Osama Bin Laden showing up for Fashion Week. Cross-pollinating the brands was verboten — the “merger of equals” made all that unnecessary, remember? Fast-forward to 2004, when the realities of cost-cutting have already wrought the fantastic-looking Crossfire, based on Benz SLK hardware. Sharing can be good for you, just like mom said. This coming model year, the intermingling of Benz and Chrysler DNA will hit an important milestone with the 300/Magnum sedan and wagon, which borrow prudently from the last-generation Benz E-Class and C-Class and infuse them with classic, even bawdy, American style. If DaimlerChrysler ever will work, the 300/Magnum must be a success. 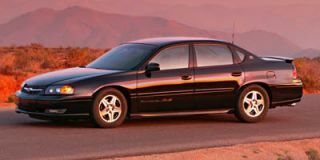 As if the pressure weren’t high enough, the 300/Magnum also have to be good enough to make buyers forget that just a decade ago, Chrysler was telling us that front-drive and cab-forward were a better solution than rear-wheel drive. Oh, and at the same time as relearning how to engineer rear-drive cars, they had to make the fraternal twins roomy, sporty, feature-laden, stable, and safety-prone. After spending a considerable amount of time with these vehicles, in every climate imaginable, I’d have to say the next time around, DCX management needs to present something more difficult, because from what I’ve experienced, all these goals have been met and surpassed. I’ll begin with the all-new Chrysler 300. This year marks the 50th anniversary of this nameplate, and the new model does credit to the name. 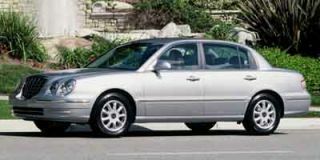 It replaces the current flagship luxury model, the 300M. Unlike the vehicle it’s replaced by, the “M” was only available with a V-6 engine, something I found relatively unworthy of the image of the famous badge — styling, luxury, and comfort aside. It’s still possible to get a V-6 engine in the ’05 Chrysler 300. In fact, there’s a choice of two. The standard engine for the base model is a 2.7-liter, DOHC 24-valve V-6 producing 190 horsepower and 190 pound-feet of torque. The standard V-6 for the 300 Touring and 300 Limited trim levels is the 3.5-liter engine, which makes 250 horsepower and 250 lb-ft of torque. 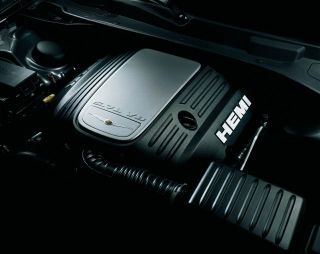 Moving to the head of the class is the 5.7-liter Hemi V-8, standard on the top-of-the-line 300C model (my personal favorite). It pumps out a very impressive 340 horsepower and a soul-reaffirming 390 lb-ft of torque. This is what a V-8 should do for a living: throw out enough power to mesmerize even the least car-happy folks you know while lifting us enthusiasts into some near-utopian realm. You’ll spend more for the recommended higher-grade 89-octane fuel to get there, but who cares? EPA fuel-economy estimates range from 21/28 mpg city/highway for the 2.7-liter six to 17/23 for the Hemi with all-wheel drive. The transmission for the 2.7-liter and 3.5-liter V-6 engines is a four-speed automatic; a five-speed automatic is standard on the 300C and is included with all-wheel drive. Final drive ratio is 3.90 with the 2.7-liter; 3.64 with the 3.5-liter; and 2.82 with the V-8. The five-speed comes with Chrysler’s AutoStick driver-interactive manual control that allows you to run between gears like a clutchless manual transmission. Other than preserving some brake wear (and I don’t mean to minimize the importance of this) for hilly terrain, I’ve never been a die-hard fan of these things. Maybe I’m just a purist and long for the old days of big-iron muscle cars and heavy-duty clutches that would give you a leg the size of an Olympic weightlifter, but I feel if you have an automatic transmission…leave it in Drive. I’ve driven all three engine selections and the 2.7 version is adequate, although this wouldn’t be my first choice. It has enough power to do a decent job of propelling you around, but I feel that in the long run it wouldn’t be the best engine, especially for a mountainous environment. Keep in mind that for every 3000-feet change in elevation you will lose about 10 percent of your power. If you lived at a 6000-foot level, the 20-percent loss in power would in effect give you about a 38-percent drop in horsepower, meaning you’d be operating this fairly heavy vehicle around with barely over 150 horsepower. The 3.5-liter V-6 is a good compromise because it’s quick (for a V-6) and accommodating. I sometimes had to remember that I was not driving a V-8. For all-out pleasure, however, I thoroughly enjoyed the 5.7 Hemi, and this should be the engine to get. It’s response is immediate, the power is there and the image of a Hemi makes this vehicle that much sweeter. When coupled with the aforementioned five-speed transmission, the combination is like a vehicular symphony. 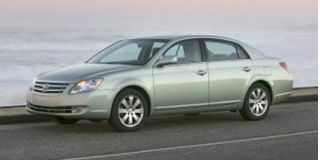 Many are probably wondering why a company that spent many years and many hundreds of millions of dollars designing, perfecting, and promoting front-wheel-drive would make a return to a large, rear-wheel-drive vehicle. The fact that they could and did is the subject of our sidebar (click the link above). Suffice it to say, the public may not have demanded it, but after one test drive in less-than-ideal weather conditions, they will now command it. The 300 was designed for comfort and utility, and it succeeds. Wheelbase is 120 inches; overall length is 196.8 in; overall width is 74.1 in and overall height is 58.4 in. Ground clearance is 5.6 in and curb weight is 3721 pounds for the base model; 3767 pounds for the Touring and 300 Limited; and 4046 for the 300C. Fuel tank capacity is 18 gallons (19 for the 300C). The interior is roomy enough to take up permanent residence. Seating is two in front, and three in back. (Just make sure you get there early so you’re not the one sitting in the middle. There is a driveshaft hump to be reckoned with.) 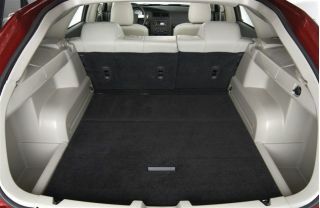 Rear seat legroom is a luxurious 40.2 inches, 0.4 in more than the front seat. Rear headroom is 38 in, knee clearance is 4.8 in, and total interior volume is 106.6 cubic feet. Cargo volume is 15.6 cubic feet. The driver’s area is ergonomically friendly and loaded with luxury — especially at the high end. It’s possible to dress up this vehicle even more with optional tortoiseshell steering wheel, shift knob lever, etc. (Do it, it’s really slick.) 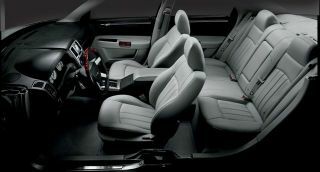 A handy, capable navigation system is available, the audio system is top-drawer and the seats go way beyond comfortable. I was particularly delighted to see the correction of what I and some colleagues have always perceived as a safety hazard. The cruise control arm on Mercedes-Benz vehicles is located directly above the turn signal lever. It’s way too easy to accidentally engage cruise control while actually wanting to signal a right-hand turn, causing the vehicle to inadvertently leap forward. Most of the time this would be a minor inconvenience. However, try telling that to the person you just clobbered as you shot through an intersection. When I saw the cruise control arm on the 300 in the exact location as the Mercedes setup, I uttered toilet words. However, I quickly had my mouth effectively washed out with soap when I was shown that the lever actually has to be pushed inward to engage the system, and this can’t be done accidentally. I drove the 300 (and its Magnum cousin) over every type of road and environment imaginable and was impressed with their performance. In several instances I was forced into an emergency braking condition (not brought on by any fault of my own, I’ll have you know), both in desert conditions and icy roads, and both these vehicles were up to the challenge. Open-road driving is another place these vehicles shine. I judge a vehicle by whether I could spend the entire day driving in it, and then look forward to another round the next day. In this respect, the 300 and Magnum are more than qualified. There are plenty of places to “relax” while driving; there are places to rest your arms, no obstacles cramping your legs and there is virtually no claustrophobic feel despite the high-ish door panels. Excellent visibility in both vehicles sees to that. In both, steering is about as positive and direct as you can find, especially in a larger vehicle. Both vehicles handled like they had sport tuning, whether they did or not. On slick driving conditions, the built-in ESP technology corrects oversteer and understeer. Just like an advanced training course, these vehicles tend to make a better driver out of you. The base price for the 300 is less than $24,000, and you can spend your way up to the $33,000 level for the 300C (which is well worth the extra expense). The other part of DCX’s dynamic duo is the all-new Dodge Magnum, a unique addition to the company’s new “sports tourer” segment. Some may look at the Magnum and think it’s a really cool station wagon. Others may look at the same vehicle and think it’s a station wagon that belongs at a rod & custom show. Anymore, however, the terminology “station wagon” seems to be forbidden. 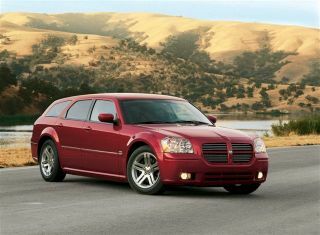 Whatever it’s called, the Dodge Magnum is a stylish entry. Its low-profile roofline gives it the appearance of a chopped and channeled…er…station wagon. And that’s not a bad thing. However, don’t let the low-slung roofline fool you. This is a roomy vehicle inside and out, and certainly easy to enter and exit. 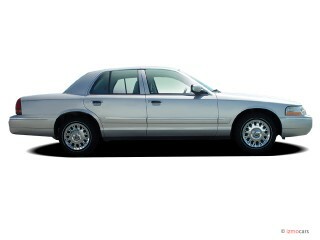 The Magnum shares the same platform as the Chrysler 300, so I won’t repeat myself about the various powerplants. It comes in three trim levels — the base SE (with the 2.7-liter V-6), the SXT (with the 3.5-liter V-6) and the RT (with the 5.7-liter Hemi V-8). The four-speed automatic transmission is standard on the first two trim levels; the five-speed is standard with the Hemi. If you’re going to haul a trailer, you probably won’t consider the SE, and barely the SXT, with a max gross trailer weight of 1000 pounds and 2000 pounds respectively. While standard on the R/T is also 2000 pounds, you can get options that allow you to tow 3800 pounds. There’s lots of cargo capacity in the Magnum. Total is 133.1 cubic feet. With the rear seats folded, there’s 71.6 cubic feet, or 27.2 cubic feet with rear seats up. I’m happy to see that Dodge did not bow to the current trend of adding a third-row seat. The only individuals who would be happy with climbing into a third-row seat and staying there for any length of time were probably “tunnel rats” during their Vietnam tour. If you want a third-row seat, buy a bus. 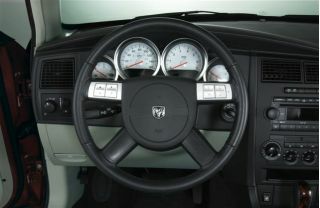 Instrument gauge cluster is neat, with four distinct rings resembling a racing vehicle. There’s also a unique touch that few would think about, but since I have little to do and all day to do it, I have. I like the placement of the ignition on the dashboard rather than on the steering column. I’ve often wondered what people with carpal tunnel syndrome do to get that key below the steering wheel. Now, at least, they don’t have to have a designated “key-putter-inner.” (The Chrysler 300 has the same setup.) And to the credit of both vehicles…they each have sunglass holders. Chrysler has wrought an unusual, and unusually fulfilling, pair of family vehicles with the 300/Magnum. The duo possesses the kind of handling that will make some front-drive diehards forget they’re driving the other end of the vehicle — and the availability of all-wheel drive should allay concerns for those of us driving north of Interstate 80 during the grey months. Their styling is a little shocking in a landscape populated by Camry clones. And the underlying Mercedes content can only be seen as a benefit, given the donors’ great reputations for roadgoing finesse. 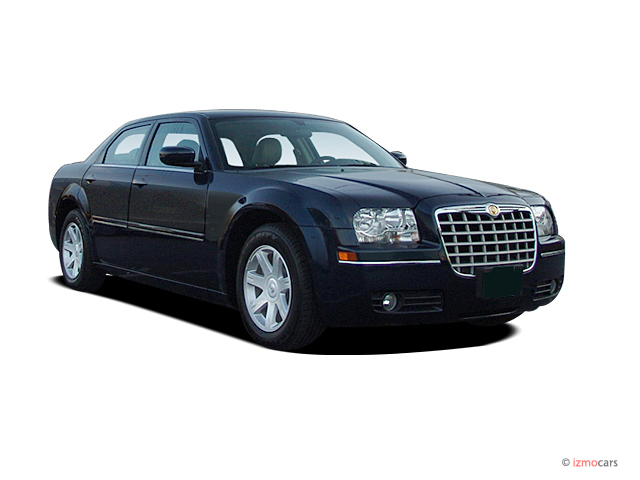 They’re not urban shuttles or family haulers, but the Chrysler 300 and Dodge Magnum are as close as American vehicles come to blending that duty with some truly inspired, European-style driving manners. Looking for a different year of the Chrysler 300?